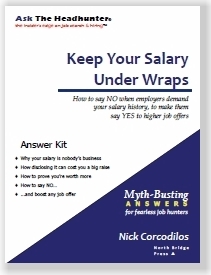 In the March 4, 2014 Ask The Headhunter Newsletter, a reader asks how to negotiate a higher job offer. But this is more than our normal Q&A column. I recently had a rapid-fire e-mail exchange with a reader who was trying to get a low offer raised. This is not an easy thing to accomplish, and employers often decline. More important, the applicant usually doesn’t know how to justify a higher figure. I think it’s worth printing the entire exchange, rather than just a Q&A. I hope you find the details of this give and take interesting and helpful. Nick: People must drive you crazy but I do not know who else to reach out to in this situation. I got a job offer today for an attorney position. I was really excited, and then I heard the offer. It was so low. They were looking for an attorney with five years experience, whereas I have 28. Even for five years, I thought the offer was low. I knew I would have to take less money, but not this much less. So how much do I counter with? 10% more, 20% more? I am terrible at these things. Thanks so much for your advice! Congrats on the offer. Now you must decide, first of all, whether you want this job so much that you would, in the end, accept the offer as it stands. Would you? I’ll say more once you reply. But that’s the main question you must answer — yes or no to the existing number — because odds are they will not raise it. But they might. I’ll respond with advice once you answer my question. Yes, I would take the low offer as it stands. My bank account is dwindling and I have little choice. It’s better to have a job when looking for another, than none at all. I just don’t know how to make the suggestion for more money. Thank you! It’s entirely up to you to decide how much you want, but being willing to accept the existing offer gives you a special kind of leverage. I’m not suggesting a person can negotiate a better deal only if they’re willing to settle for what’s offered. But let me explain how you can exploit this situation to your advantage. There is something you can say to make the employer want to raise the offer. You see, there are two things that are often more important to an employer than money: Your level of motivation and your commitment. Put those on the table, and you have leverage. That’s a very powerful negotiating position to take, because you’ve made a commitment and a concession. Now you’re asking the employer for the same. I don’t know any negotiation technique that takes this approach, probably because most negotiators don’t start with the plan of accepting the original offer. The upside of this approach is that it can still lead to a higher offer, but without jeopardizing the position you’ve already attained… By making a commitment to the company first, you establish a level of credibility that may strengthen your negotiating position. You must judge the trade-off in your particular situation. The company rescinded the offer! Non-Compete: Did I really agree to that? Am I unwise to accept their first offer? Can I use salary surveys to goose up the offer? How do I decide between two offers? 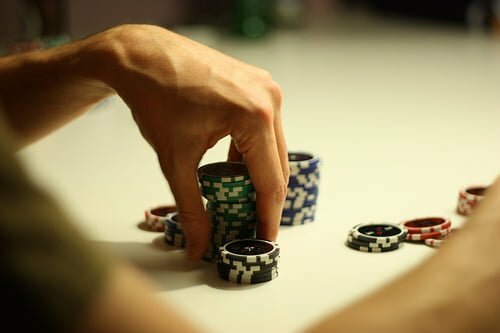 Does a counter-offer include pay-back? Am I stuck with this non-compete agreement? How do I ensure the job offer matches the job? I read Be The Master of Job Offers, then I called the guy and asked for more money. I phrased it as, “I hope you have some flexibility…” and asked for 7.5% more. He did not think that was unreasonable, and said he agreed with that but had to check with management and will get back to me quickly! I think it will work out. It is still not close to what I was making, but I am happier with this number. Things have changed drastically for millions of people in the last few years and it is what you do in the present that matters. My goal is to not look back but forward. 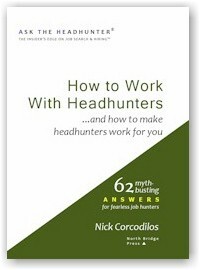 Thank you so much, Nick, for all your help and your empowering book. You’re welcome. You made my day. Something told me you’d at least try something from the book — and those are the people I do this for. Whatever happens, you took a stand and you made a sound effort. My compliments. I hope it all works out for the best for you. Hey, Nick, just an update! As you know, I asked for more money and they came back today with just a bit less than 7.5% and I took the job. So, not anything close to what I used to make, but I got more because I asked, so I feel good! Once again, I cannot thank you enough for all your wisdom, the book, and your support. Not every negotiation for more money succeeds. But knowing how to leverage any advantage you have — even if it’s the stark fact that you need that job — can make the difference between no increase and something more. It’s usually difficult to think straight when an offer is on the table and the pressure is on. But as this reader has shown, an effective request can pay off! By making the commitment she was ready to make anyway — to accept the job — the reader made it much easier for the employer to raise the offer simply because she asked. Commitment and motivation are two things that are often more important to an employer than money. 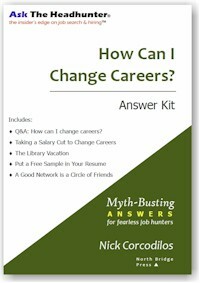 (These are two of the cornerstones of How Can I Change Careers?) You can always use them to strengthen your negotiating position. Have you ever convinced an employer to raise a job offer? How’d you do it? What other methods would you have suggested to this reader? If you’re an employer, please tell us what influences the final offers you make. Join us on the blog! 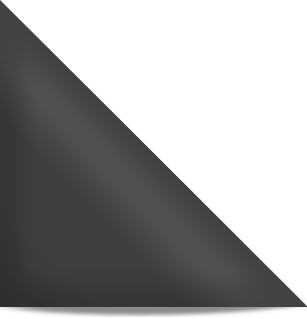 Can people of color win jobs using Ask The Headhunter? Nick, your suggestion is very interesting and one I’ve never heard of but may utilize one day myself. My story of getting a raised offer is a little more circuitous. My current company offered me a lower starting salary than I was going to be leaving. I knew I had a fantastic rapport with the hiring manager but unfortunately all the negotiations were done with the HR/talent acquisition group who wouldn’t budge on the figure. So I respectfully turned down the job and then immediately reached out to the hiring manager to let them know the outcome, wish them all the best and suggest that, while I understood the salary budget was tight, I would happily consider a consultant position to prove my value if that was an option. (Having worked for some time in a corporate environment I know that consultant salaries come out of more flexible budgets.) Within days I had a six-month consulting contract (worth the same as my then current annual salary) and after a 6-month extension I secured a salary a pay grade higher than originally offered and much higher than the previous salary level they had declined. I consider it a win on all sides. Nick, love your newsletter – I was with you up until the end where you exposed the writer as a woman. Back in the early 80’s I was working in an international computer services firm. I was involved in some pretty heady stuff and then one day I learned that all the ‘boys’ were making considerably more than I, even those lower in title and responsibility. I knew I just couldn’t go in and ask for a raise so I did some homework; I dug around to learn what others doing the same job in the same size companies in my region earning? I learned that I was making approximately 35-40% less – wow. I approached my boss with my statistics and an accounting of what I had done for the company that would not have happened if they hadn’t hired me and asked for 30% more than I was making. I got a 24% raise. My initial offer for a position was a bit under what I was seeking but I did not want to reject the offer. The solution I negotiated was to accept the initial offer with the stipulation that I would achieve specific results or make satisfactory achievements in two areas within a specified time frame. If so, then I earned a salary increase. I knew I could reach those marks. In fact, they were exceeded and the increase was more than I had requested in the original negotiation. I enjoy your newsletter very much. When I was interviewing for my current job, I was also interviewing at another company. I told each of them identical salary requirements and the company for whom I’m now working came back about $8,000 lower than the other offer (the both came in on the same day). I immediately called the lower guy, where I liked the work environment better, and told them that I’d gotten a higher offer and they counter with $2,000 over the other company. The obvious caveats would be to be completely honest and tell both companies that you’re interviewing at more than one place and to be honest about the offers. Nick I have been an employer something does not ‘feel’ right. 1)Why apply for a job that asks for 5 yrs of expeience when you have 28 and the commensurate pay scales. Did she do her homework first? 2)maybe they are trying to discourage her from accepting, she is a lawyer and pehaps they are concerned of legal backlash 3) she may need the job for a variety of reasons and should use one of the above tactics that works for her personality, I prefer Calgary and Joanelle. @Calgary B: I get so tired of all the conventional negotiating tactics promoted by the “experts” – because they almost always isolate compensation negotiations from the work that brings the parties together. Your story is especially instructive because you point out that the HR team was probably guilty of the same kind of isolation. Then, whap!, you put the focus directly back on the work by stepping away from the deal as it was presented, and you offered a totally different solution the manager that got you both what you wanted. My compliments! I love it. Thanks for sharing this. Folks, the point isn’t that Calgary got a job. It’s that Calgary created a solution for the manager that no one anticpated. Calgary was so far ahead of the game that HR was left in the dust. HR failed. So here’s my challenge: Why didn’t HR itself come up with this solution? Every HR dept everywhere should have contingencies just like this set up to protect the company’s interest in the people it wants on the job. Again, HR failed — I think because HR is in the business of processing paper, not getting the company’s work done. @Joanelle: I didn’t want to get into the gender issue because this Q&A gave me a chance to focus on another point entirely. But now let’s talk about – thanks for your comment. Doing your homework, as you did, is key. It can be difficult to figure out how much others in similar jobs are making, if you don’t work in their company. You deserve extra credit for digging into this after you already had the job. Not an easy task or discussion to have with your boss. It’s great to hear a success story like this. What I’d like to know is, what happens when the boss rejects a request for such a raise? I’m sure it happens, with some excuse offered that skirts the gender issue. Has anyone encountered this? What happened? @Ann: Thanks for your story. Good alternative, and I’m glad it worked out for you. But here’s the caution to others. 1. Your objectives must be clearly defined and they must be achievable. 2. They must be measurable in a way that is not open to interpretation or controversy. I know this is hard to think about and to insist on when you’re eager to close the deal and get the offer. But so often people are left high and dry by employers who “forgot” what they promised, and by managers who move on after making only personal guarantees about something. The company isn’t liable. Again, good for you for “negotiating around” and getting what you wanted! It’s not all about base salary. I had an offer which involved a relocation. I focused on non salary issues, in particular relo assistance, and asking for the company to pick up closing costs on one end and temp living on the other. And a sign on bonus. 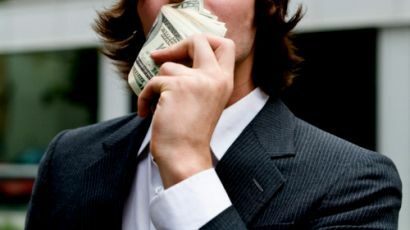 Salaries in large companies are often cast in concrete and hiring managers don’t have much of a say in variances..too much effort to address, but they have more leeway with other parts of the comp package, things that come right off your bottom line. When relocating the 1st year has a bite, and a bridge to take the edge off helps all the way round. @Larry: I’m forever flummoxed when someone questions a person’s motivations when they are willing to take a lower-paying job that requires less experience than the applicant has. I don’t see what this has to do with anything. It’s up to the individual. Clearly, the lawyer in the Q&A needed the job and the money. She negotiated a deal that was acceptable to her, even if it wasn’t what she really wanted. The firm hired her. It got great talent and skills at a discount. Putting aside what’s fair, the only issue here is whether both parties agreed, and it seems clear they did. Someone in HR might say, “We’d never hire her because she’ll quit when a better paying job comes along.” HR should ask, “What are your intentions?” Then decide whether to believe what the candidate says. It’s a judgment call. Would this lawyer have an obligation to stay at this job if she finds a better paying one in a year? Absolutely not. When an employer hires at a big discount, it’s assumed that there’s some risk. The important question for the employer is, will it get the value it wants while the employee is there? I just don’t get it when employers expect long-term guarantees, when they can’t make such guarantees themselves. 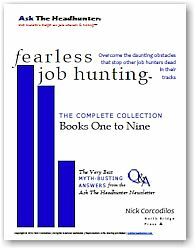 I discuss the problem of “I just took a job, and a better deal came along a few weeks later” in “Juggling Job Offers” in Fearless Job Hunting, Book 9. I don’t see any ethical problem with leaving any job at any time if a better deal comes along. I am the female attorney that had the exchange with Nick. There are some of you voicing opinions that have no knowledge of the “real” law firm world and how it works. And I do not think any of you realize that there is a HUGE glut of unemployed lawyers. Lawyers are a dime a dozen, even experience ones. Firms are top heavy with lawyers at my level. They do not need more of “me” type lawyers unless you have a book of business which I do not have. They want lawyers with less experience and obviously do not need to pay as much. Believe me I know b/c I have been looking and doing my “homework” on this for two years. I was a partner in a prior law firm for 10 yrs and helped with hiring. On top of that I am over 60 and if you think their is no age bias out there you are living in la la land. In addition firms do not want to hire attnys with more experience then they need for many reasons including that the attny will leave, will not take critism/instructions well and they cannot be “molded” to their firm style. I am familiar with this firm. They are very nice people and have a very good reputation. But there is no reason at all I cannot move on from this firm whenever I want to and yes, I will continue looking! And what I am getting paid is the standard pay for 5-yr attnys at an average defense firm, (I did that homework too) not the few high powered firms the majority of people know about. As for “consulting” law firms do not do that and I was already doing contract work but it was not enough. Unlike other industries the pay scale for lawyers varies drastically depending what area of law you practice. I have been hanging on doing legal contract work, childcare which I really enjoy, sewing lessons, some interior design work, anything I could think of. The whole point of my exchange with Nick was to really decide if I could work at this job without feeling resentful and/or waiting for something else AND once that was decided/accepted if I should negotiate and how to negotiate for more money without losing the offer. Nick was immensely helpful and thru his advice as noted above I had the guts to ask for more money, how to do it and was successful! I feel very good about that and will be forever grateful to a man who truly knows what he is talking about! In this day and age, when even law firms are receiving 300 resumes for one position, any offer needs to be examined seriously. Thank you again Nick for all the insight and support you and your blog, newsletter and PBS have provided me. Similar to Don, I had an offer that included relocation. Rather than take the relocation money, I asked for about 1/3 of it added to my base salary, and said I would pay for my relocation out of my own pocket. My company sent me to the new location, but moved me back (at their expense) in about a year, and I’ve kept the base salary increase so my OT pay has been higher as have my subsequent raises. Great topic Nick. And congrats to Cat! That is wonderful news. @Nick: I’m on another discussion board from one of my groups and this was the topic. The poster had received a job offer, and when she tried to negotiate for a higher salary, she said that they rescinded the offer, even though she was the only candidate to whom they made an offer (was told during the interview that she was the only qualified candidate, and the only one they were interested in). She asked the group “what gives? and has anyone else had this happen to them or heard of this happening to anyone?” She was puzzled, disappointed, felt blindsided, hurt, and angry. Her first post about this was last fall, and recently (last couple of weeks) she reposted because she found an article which listed how and what to negotiate once you’ve gotten the job offer. She wrote that she did everything this author did, but the author got what she wanted, and the poster had the job offer rescinded. I emailed her privately and told her about your newsletter and blog, and this week’s topic. @Nick: the more I thought about your advice to Cat the more sense it makes. I don’t know if K (the poster in my group) did what you advised Cat to do, but if she didn’t, then it is possible that made a difference. And maybe not–it is always possible that an employer will balk at a candidate who tries to negotiate for a higher salary and choose to rescind the offer. The point is that you’ve given us some tools to help mitigate the chances of that happening. It isn’t a guarantee, but perhaps it will make a difference to how the employee perceives the candidate. @ Nick: I have a question for, though. Your advice to Cat was predicated on her answer to your first question re whether she was still willing to accept the original offer if the employer wasn’t willing to negotiate. She said yes, she was. How would you have advised her (or any of us) if she had said no, she couldn’t accept the original offer (just too low)? Does that mean the discussion is over or is there perhaps hope to still be able to negotiate? Thanks! Nick’s advice is so good. You have to be very careful how you phrase your counter demand (“demand” is a harsh word but that is what it is called in the legal world.). You want to express yourself in a way that does not reject the offer ie: “might you have any flexibility”, “hoping you would consider abc” etc. Interspersed with “love this job”, “can’t wait to start”, etc etc even if you have not done with Nick advised and outright accepted it. Even if a potential employer rescinds an offer there is nothing you can do. It is very very bad form and bad faith on their part and they would have been horrible to work for. In this day and age better to not sit on an offer if you ask me. Get it negotiated and over with and move on. Here is a bit more of my story. Two weeks before Christmas 2013 I accepted a job (more pay then this one). (Employment at will which is the vast majority employments here in CA). I was to start Jan 6th. You can imagine how thrilled I was during the holidays and relieved. I was at the law firm for 4 days and they withdrew the position and dumped me. I was devastated. No severance. I researched the situation and spoke with an employment lawyer. I had no case. But thank god I am not working there! Terrible people. You’re welcome! I’m always cheered when I read that any of the posters here have found jobs. Thank you for confirming what I already suspected–that there is nothing you can do when an employer rescinds the job offer. And thank you for reminding me about the basics of contract law–that for there to be a contract there must be an offer, acceptance, and consideration, and attempts to negotiate a higher salary, unless very carefully couched, don’t constitute the acceptance part but rather a counteroffer and thus a whole new contract! I remember that you had posted earlier this year about your experience with the other law firm, who promised you a computer, support, and then you were let go. Any employer that treats employees that way isn’t a very good employer. I think sometimes when we’re looking for work and not getting nibbles much less interest we get desperate and willing to tolerate a lot that we wouldn’t tolerate if there were more jobs from which to choose. I’m glad that you are with a firm that has good people, and pleased that you found work. Your work environment is important, too. I followed your advice Nick, but it did not work. Like CAT I got a lowball offer–completely unexpected. The offer initially from an external recruiter came in $5K below my low base (as given to the recruiter at the start)–and in fact the recruiter said that it would be more like midpoint. The recruiter directly dealing with the client walked away from all of this and said “this is the salary’.A direct conversation with the CEO, whom I’d be reporting to, using your script did not work. He said “that is what we are paying and the company is growing”. So I accepted verbally at the rate because they would be picking up 100% of healthcare cost and that there would be a ‘discretionary bonus’ at year end. Then today I received the employment agreement. The recruiter wrote me at the start (I have the email) that it would be a VP title. On the agreement, it was downgraded to a director. When I brought it up to the CEO again, it is “that is what the title is”. He wasn’t happy that the recruiter did not tell me, but that is the title. And the rest…the employment contract has no severance, only 10 days PTO (no sick days), a 12 month and overly broad non-compete and because it is an Israeli company I’ve already been advised that I may get Sunday calls. The only things good is that the work is in my health tech field, and like CAT having a job and income in is better than nothing at all. (I’ve been unemployed/underemployed for the past 18 months) Like CAT, I’m over 60, and in marketing that is OLD. However I feel like I’ve been forced totally into a corner–sick at heart and resentful. I wish I could walk away–but financially and professionally–should I just take my lumps, take the job and keep looking? Any advice? So we negotiated the main sticking points over this week, to a mutual agreement, I got a VP title, we were proceeding quite nicely (and in fact they invited me to their big international meeting next week, with pay), calls were set up and it was all ‘welcome aboard’ till I signed the agreement and sent it. One hour later, I was declared ‘not a match’ by the CEO. Recruiter? Blindsided. Reasons why? Not given. The thought had been in the back of my mind all along: “something is not right here”. Small company, foreign ownership, tech problems, lack of focus, a VP marketing who left under murky circumstances and only one client=BIG trouble somewhere, and I truly believe not to do with me. Honestly, relieved–the worst would be to start and then given the heave-ho. BTW, it wasn’t the money–I left that as is. @Dee: My first reaction is that they found out your age (based on paperwork new employees typically fill out) and once they did, someone decided to kill your hiring. Is that possible? (Age discrimination is real). Dan, it could have been–but I don’t recall filling out anything that had my DOB or my SSI. (No, they didn’t do a background check–too small) But it could have been verbal–it’s months ago now–or they could have checked with my university and extrapolated from my graduation date. I’ll never know, and if I did, it’s unprovable. My own take was that being female and Christian were also significant factors. You know, I just checked their website and they are down to three (male) officers on a website otherwise unchanged from February this year.